Appearing on travel brochures and postcards, the famous twin peaks of Maroon Bells are considered to be the most photographed landscape in Colorado. The Maroon Bells Snowmass wilderness captures what I believe to be the most scenic aspects of Colorado. Lush aspen forests, lofty peaks lined with perpetual snow, clear flowing streams, blooming alpine meadows, and high alpine lakes ringed by granite peaks. Perhaps this is why the wilderness area is one of the most visited spots in Colorado. Visitors commonly access the Maroon Bells – Snowmass Wilderness from the Aspen area. From Aspen, drive west on Hwy 82 . At the first round-about, exit onto Maroon Creek Rd. and continue to the ranger station and then to the Maroon Lake parking lot. Note that during the peak tourist season the road section beyond the ranger station is closed to motor vehicles due to a lack of adequate parking at Maroon Lake. Because of the high volume of visitors, parking may not be available and shuttles are provided for access. You can purchase shuttle bus tickets to the Maroon Bells at the Aspen Highlands sports shop. 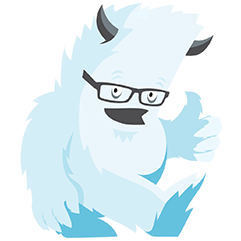 Tickets are $3 /$6 (weekday/weekends) roundtrip. The shuttle drops you off at Maroon Lake. The trail head located there provides access to Crater Lake, West Maroon Creek, and the Snowmass Lake trails further up the valley. The Maroon Bell area is extremely popular with many tourists and local day hikers. To beat the crowds, arrive early in the morning on a weekday. Avoid holidays and weekends. The area is also popular during the fall. Mid summer and fall are the most scenic times to visit. From late July into August the wildflowers are at their peak. With regards to the autumn aspen colors, the colors are at their peak in late September. Make sure to visit on a weekday to avoid burgeoning crowds at Maroon Lake. Hikers and backpackers willing to hike further into the wilderness will experience less crowds and a better wilderness experience. To best appreciate the wilderness, a number of days of hiking is required. Backpackers enjoy views of Pyramid Peak, Capitol Peak, Snowmass Lake, and the vivid green of the Fravert Basin splashed with alpine wildflowers. Some of the most popular hiking destinations are listed below. West Maroon Pass to Schofield Park – Start at the Maroon Lake trailhead. At Crater Lake, continue on W. Maroon Pass trail to the top of the pass. Descend the pass’ western side and enter Schofield Park. Views of Maroon Bells and 13k ft. high peaks abound. Trail Rating: More Difficult. 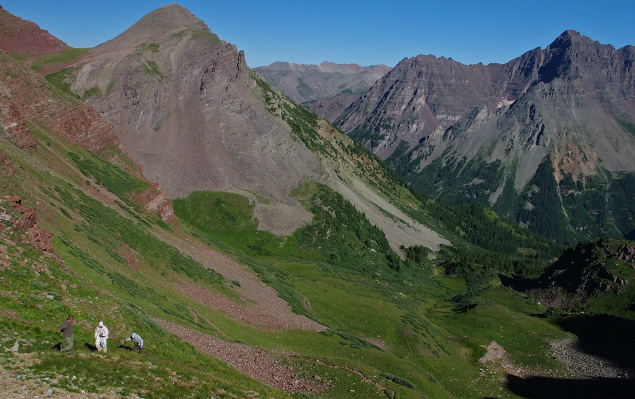 Maroon Bells 4 Pass Loop– A 4-5 day loop hike of 28 miles roundtrip. Crosses W. Maroon Pass, Frigid Air Pass, Trailrider Pass, and Buckskin Pass. Spectacular views of the Maroon Bells, Pyramid Peak, and Snowmass Peak. Strenuous but highly scenic. Electric Pass – This is a popular and heavily used trail and is not recommended by the Forest Service to be hiked on weekends. Electric Pass is the highest pass in Colorado accessible by a trail. The pass offers breathtaking views of the Elk Mountains. Access it via the Cathedral Lake Trail from Castle Creek Road. Visit the Electric Pass Cathedral Lake link for more details. Trail rating: More Difficult. When hiking in the backcountry, maps are a required piece of navigation gear. 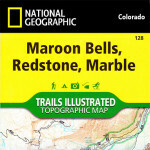 Personally, I like to use National Geographic’s Trails Illustrated series of topographic trail maps because of their durability, accuracy and ease of use. To explore the Maroon Bells – Snowmass wilderness I the Maroon Bells, Redstone, Marble map which covers much of the wilderness area and the most popular trails in a 2 sided, color topographic map. There are several wilderness areas located here: Raggeds Wilderness, West Elk Wilderness, Hunter-Fryingpan Wilderness.